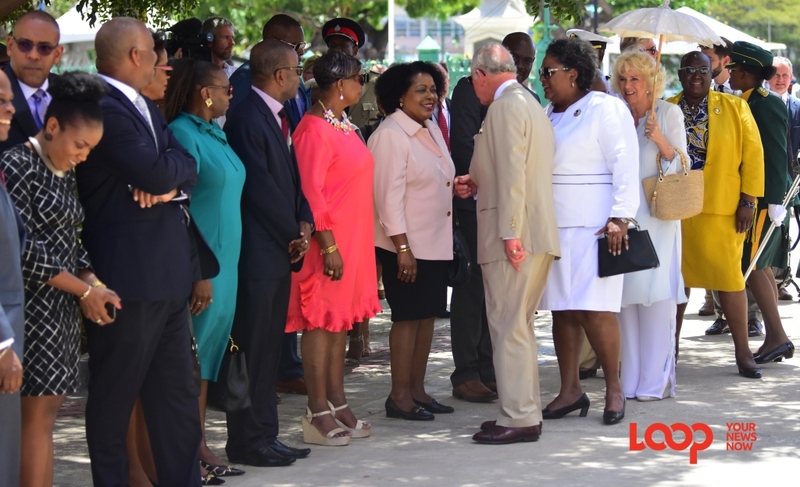 Their Royal Highnesses meeting Barbados' Cabinet ministers. 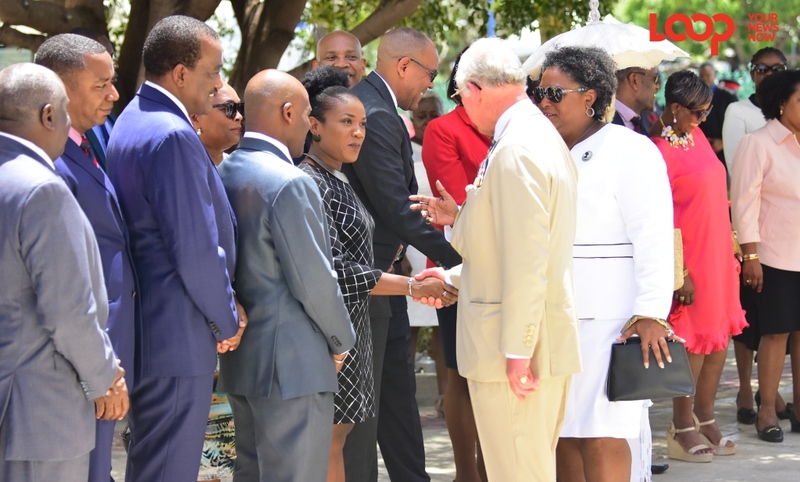 All the Members of Parliament in Barbados were decked out in their finest to meet and greet their Royal Highnesses the Prince of Wales and Duchess of Cornwall. 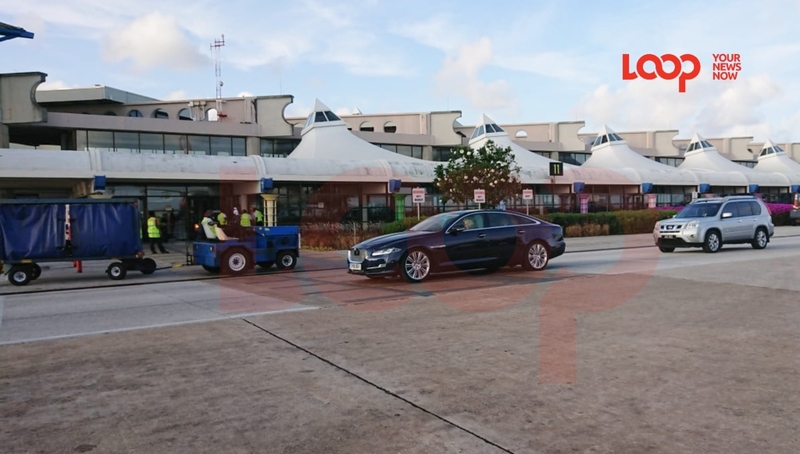 Led by Prime Minister Mia Mottley in her white skirt suit, her 26-member Cabinet of ministers were on show as well in Heroes Square as they watched the parade, colour presentation, wreath-laying, and salute during the morning's proceedings which got the official royal visit underway in Historic Bridgetown. 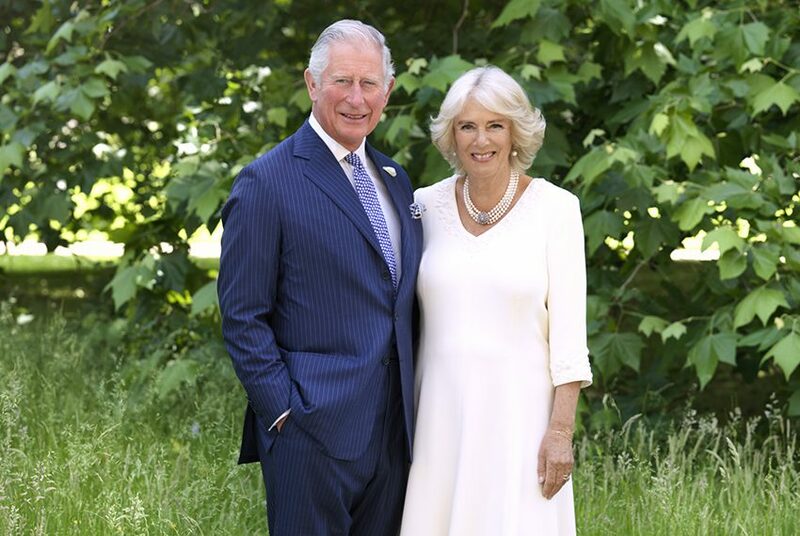 After the activity in the Square, the Prince of Wales Charles and Duchess of Cornwall Camilla shook hands and greeted all the ministers in the courtyard of Parliament. 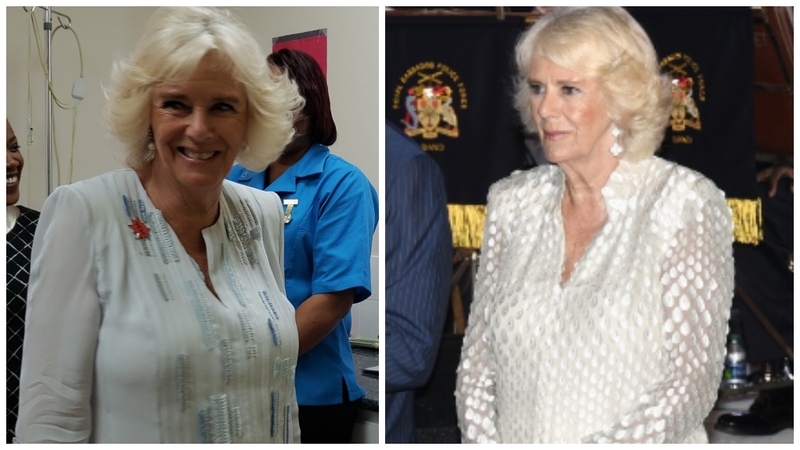 Amongst the other dignitaries in attendance, who hold leadership roles in our society, were the Speaker of the House Arthur Holder, the Leader of the Opposition Bishop Joseph Atherley, the Canadian High Commissioner Marie Legault, Ambassador at Large and Plenipotentiary Dame Billie Miller and others. 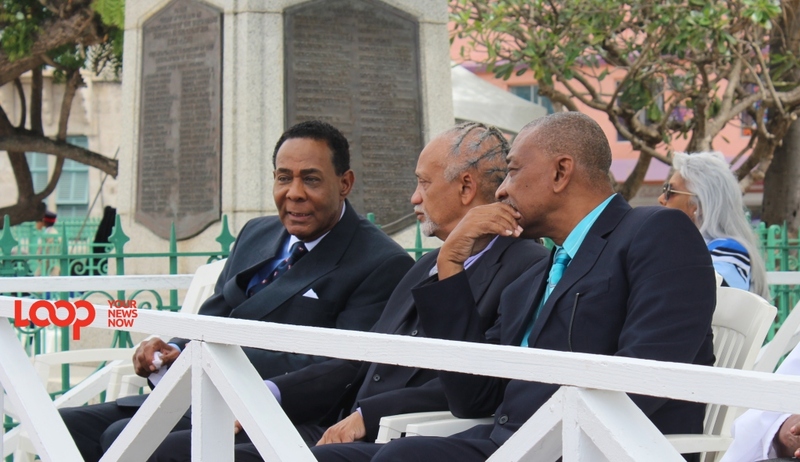 They were present at the morning's activities in Heroes Square and by the cenotaph.